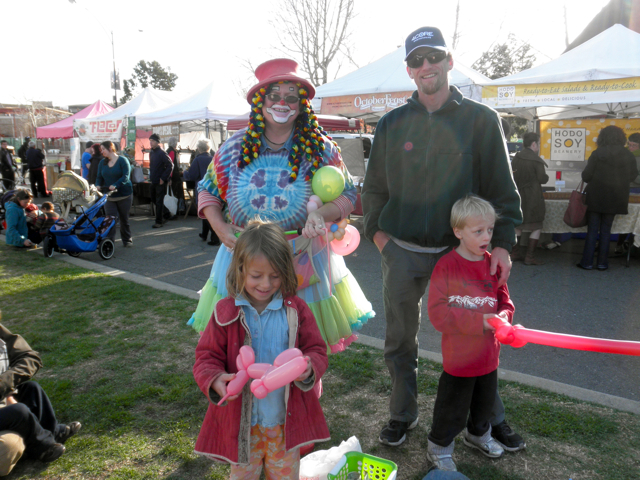 farmers market, shattuck and rose st. The best thing about not living in California is getting to visit and epic about it all. The uncorked sun and the ocean propping up the horizon and how you can walk away from the farmers market with a live crab and a fistful of organic tulips and the five different languages being spoken within one block of Shattuck Ave and everything little green thing creeping and stretching and unfurling. We’re here, on the quickest ever trip, to join my family in celebrating Grandma Joyce’s life. Mostly we’re here to support my mom with the kind of wild and goofy uplifting energy that only her grandchildren can offer. * I’ve heard from some folks that wordpress hasn’t been letting some of your comments through. I’m not sure why, but thanks for letting me know and thanks for your persistence. I’m open to a fairy blogmother appearing to help me move this site to a self hosted thingamajigy. 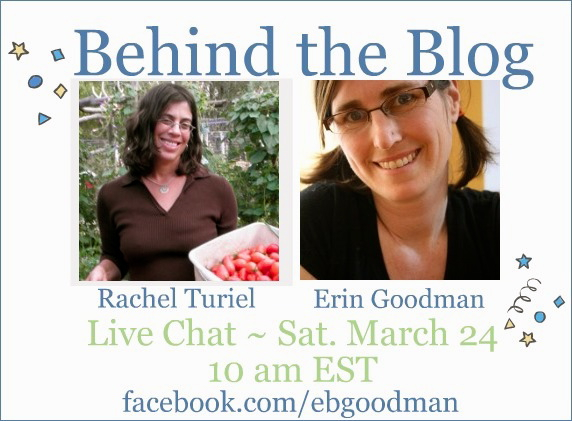 * And, tomorrow, Erin Goodman is hosting me on a live Facebook chat as a follow up to our Behind the Blog interview. We can talk about backyard chickens or how allowing kids to be bored nudges their creativity or how to determine if roadkill is fresh enough to haul into your hatchback or how I just finished Jonathan Franzen’s Freedom and wish I had a book club to discuss it with, or anything you want. More details here. aw, big hellos and waving to you from me, across the bay in SF. i hope grandma joyce’s celebration is just the right mix of warmth and bittersweetness. i love that you pointed out the five different languages thing. i am often heartened when i notice the same thing. with stories of racial tensions and hatred occupying the news, it is a good reminder that, even though it may not be enough, so much progress has been made. i sure missed col yesterday and am glad to hear that you are celebrating your grandmother! that’s the way to do it. i have been sorting out self hosting and can surely tell you WHAT NOT DO! :) I have other thoughts and questions for you ranging from your phone call the other day to osha to della’s look alike at the UU church! Safe travels! Grandchildren can heal – yes. I hope your trip is full of heartwarming stories, memories that discuss until darkness, and good hugs. Enjoy the sun and the crazy energy of California. Freedom, I know!! It took me quite some time to move on from that book. Glad you are able to pay tribute to your gran and be there for your mom. You are here? Just in time for rain! Lovely things to say about Berkeley. Loved getting to know you more via podcast! Doesn’t all that abundance of food make you wonder why you left? I hail from Berkeley’s sister-city up north. It drives me bonkers that my mom could grow vegetables year around and chooses not to. I haven’t had a chance to check out your podcast thing yet, but Juniper’s outside asleep in the stroller and Hazel’s asleep on my chest, so maybe now would be a good time! I don’t think I commented on it, but the post you did about your grandma was stunning. And which sister city would that be? Oh, and I’d help you with that self-hosting blogmother thing, but I don’t even remember how to change my own banner. we did do Freedom for bookclub, and found the group was pretty evenly split amongst the lovers and the loathers. I was a lover. Julie, I was a lover of Freedom too, but had a hard time finding a character that I *liked,* so I was sort of annoyed about loving it, which is the sort of neurosis I specialize in.